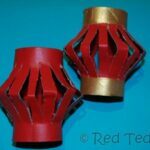 Here is another one of the classic Chinese New Year crafts for kids – lanterns made from a sheet of paper (and in this case a glass and a candle or set of fairy lights! Your choice). 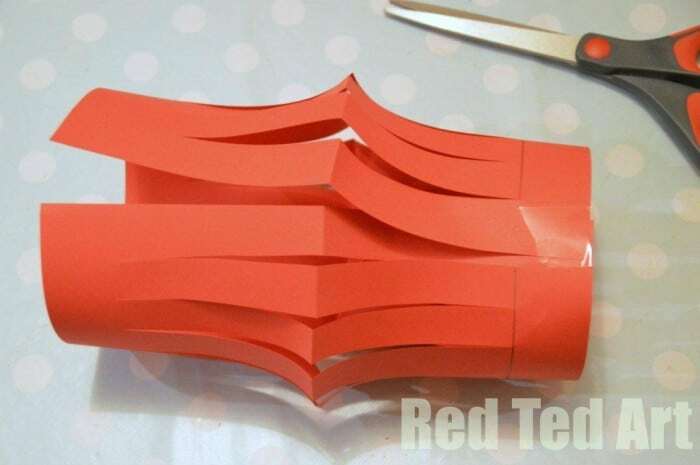 Have distinct memories of making these for Fasching in primary school, but of course they are also a very popular Chinese New Year Craft! 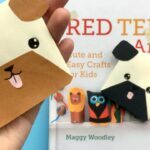 Now you can make them with kids or on your own. Really it depends on your children. And I will give some pointers on how to make it easier for kids. 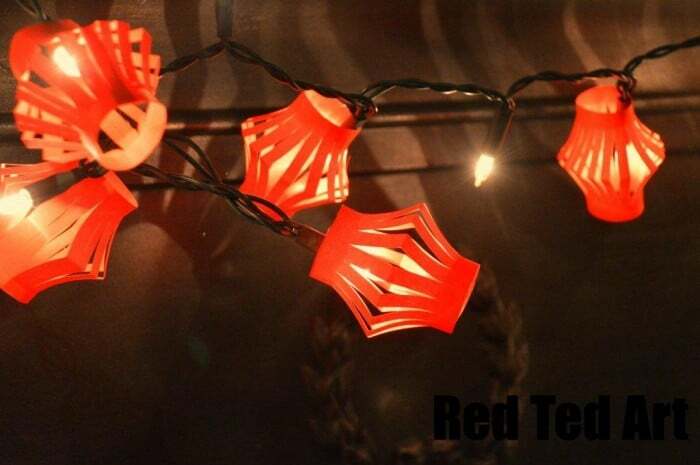 For the Fairy Lights, I cut one sheet of paper in 8 piece (by folding it in half 3 times and cutting apart). 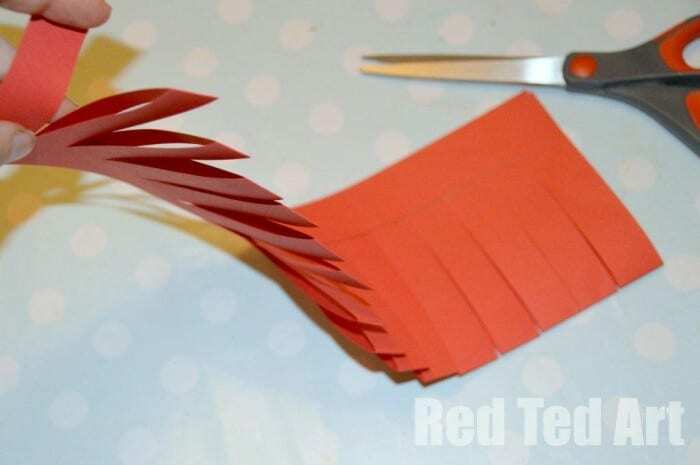 I then folded the 8 pieces of paper as per the below and cut “into them” all in one go. So it is quicker to make than you think. The children each had a go at cutting on by themselves. Great scissor practice! 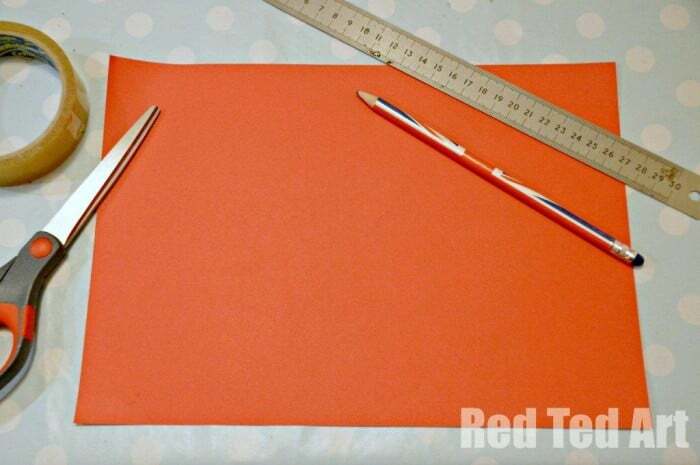 Materials: One sheet of A4 red paper for the large lantern, one sheet of A4 paper for 8 small ones. Scissors, tape or glue. 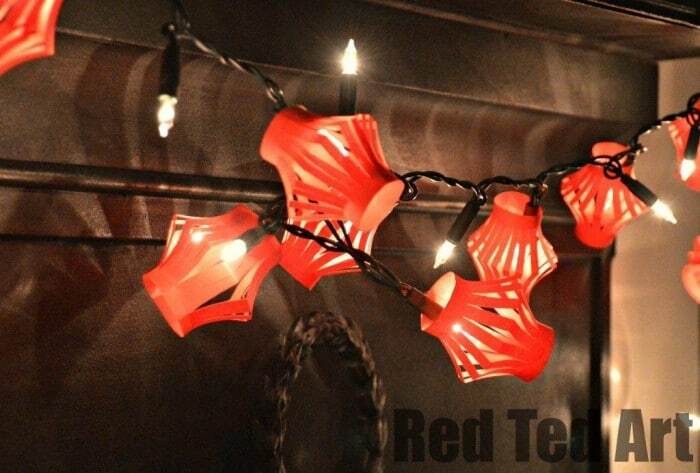 A glass and a candle or fairy lights + double sided tape. 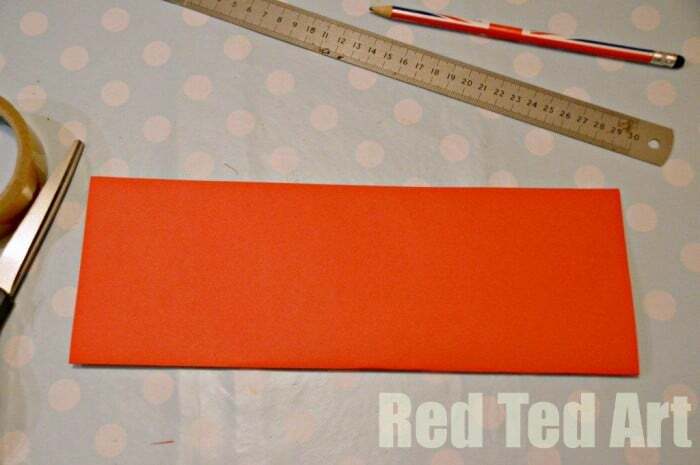 Fold the paper in half LENGTH wise, so end up with a long rectangle. 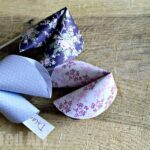 I tend to cut “free hand”, but for the kids you can do one of two things to help. 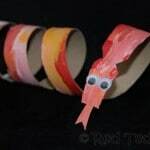 For older kids draw a line across the top (the open end of the paper), they can then cut free hand strips UP TO that line. 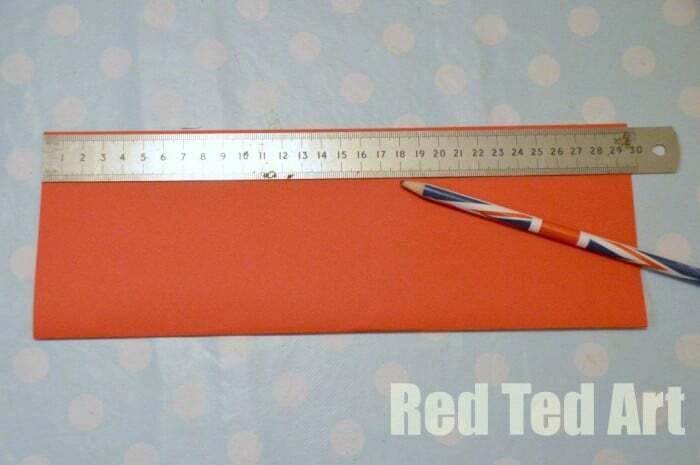 For young kids draw a series of lines across (from closed end to about 2cm of the open end) and get them to cut along the lines. 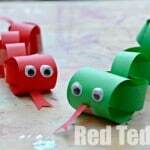 I hoping to do these with Red Ted’s class near Chinese New Years and will do this for his class mates. You should now have a sheet of paper that looks like the above. 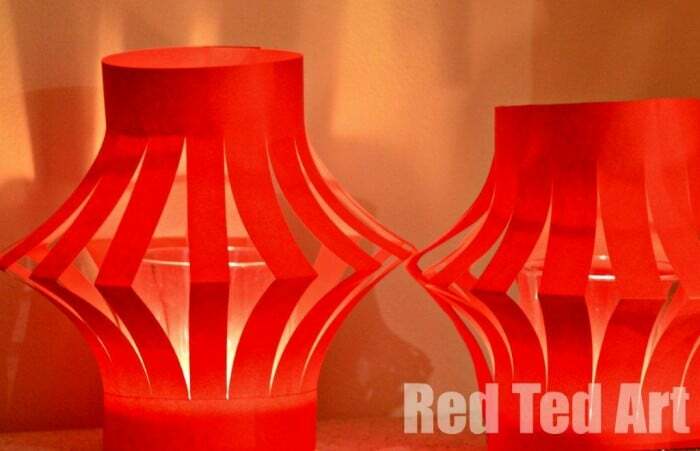 Open it up and then use sticky tape to close it up. And done. 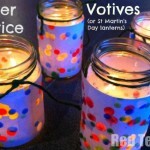 Pop a jar or glass in the centre and light a candle! 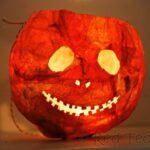 We then then made the small ones (as mentioned above – by cutting an A4 sheet of paper in 8 pieces – we stuck them to the fairy lights with double sided tape, alternating leaving one light clear and one with a lantern) which the kids LOVE!!! 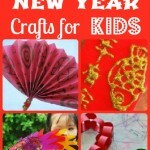 Enjoy your Chinese New Year Crafts! Such a wonderful idea to replace xmas baubles and ornaments on my live christmas tree which is still fresh and beautiful.